Here's my two penneth (two cents) for the week ahead. Tomorrow (Feb 11th) is your chance to purchase your very own copy of the Joy Division Biopic Control and if you find yourself in the HMV on Oxford Street in central London tomorrow around 6pm, you might be lucky enough to get your DVD signed by the film director Anton Corbijn. 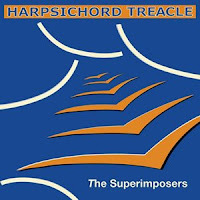 London based duo The Superimposers release their third album Harpsichord Treacle tomorrow (Feb 11th). My favorite song, Autumn Falls. Think The Beach Boys meets The Beatles meets Air meets something in 1950's America. Last up, an 'up'n'under' from a band that I believe deserve a listen. 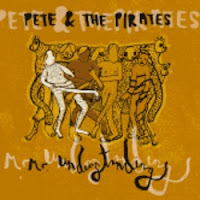 Pete And The Pirates, a Reading based band producing great pop songs and definitely ones to watch this year. Catch their new single Mr Understanding out tomorrow (Feb 11th) from their forthcoming album Little Death (Release Date 18th Feb.). They are also doing on instore gig at Rough Trade East on Feb 18th, to get on the guest list, try here. 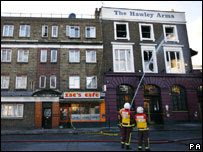 Lastly, if you're fancying a drink in the celeb hang out The Hawley Arms in Camden this week, don't bother, it's not really there any more after a fire ripped through the heart of Camden Market in North London last night. A stray cigarette maybe? Who knows. To be honest, as pubs go it cost to much and wasn't really meant for the likes of you and I to start with. I'd have probably been staring too much and been asked to leave anyway. One less pub to avoid is one way of looking at it. On a more serious note, I'm glad no one was injured.